For clean, cost savings alternatives to standard fossil fuels KMH offers the DC Solar Line off the grid energy solutions. 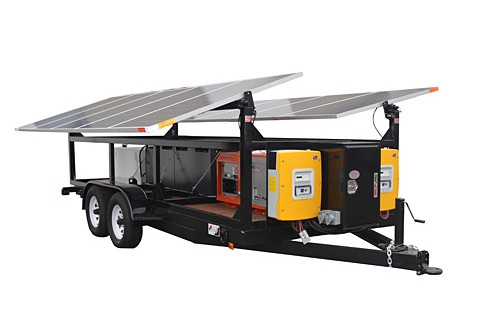 By harnessing, storing, and distributing the sun’s power through mobile energy products, your off-grid needs are met whole also helping you to reduce both noise and air pollution. We are committed to the environment and continually seek ways to develop and distribute products that reduce our collective carbon footprint. Our line of Solar products deliver power, light and cell coverage – no matter how remote the area – in an environmentally friendly manner. The DC Solar towers deliver superior performance, use no fuel and are completely noise and emissions free. Coupled with extended maintenance intervals it reduces the overall cost of operation, comes with excellent customer service and is your environmentally friendly energy solution even in remote areas. 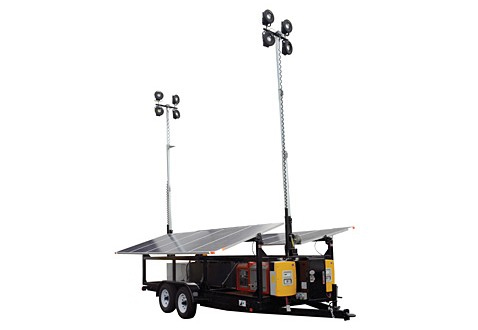 With masts reaching up to 21’ you can light up 1-2 acres without using a drop of fuel. 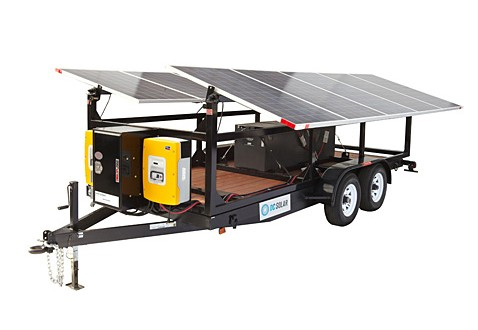 The most obvious reason to use a solar powered generator is because it is a “green” choice. It doesn’t harm the environment because it is fueled by the sun, and it does not run off of nonrenewable energy sources, like gas or coal. In addition, because the sun is a free resource, the energy that it generates is also free. Although the initial investment into the generator is often costly, it is possible to save money in the long run. One of the most common misconceptions about solar generators is that they cannot be used when it is cloudy or rainy outside. The generator actually stores power on the days when it is sunny, meaning that you will still be able to use the device in inclement weather. KMH is committed to reducing our carbon footprint as well am making sure you have the power you need in any area. Contact your local KMH Representative at 888-564-7978 to learn how you can invest in your Solar future and utilize these state of the art resources for your company.